Fort Bowie National Historic Site is well preserved considering that it was scavanged after it was abandon by the army. 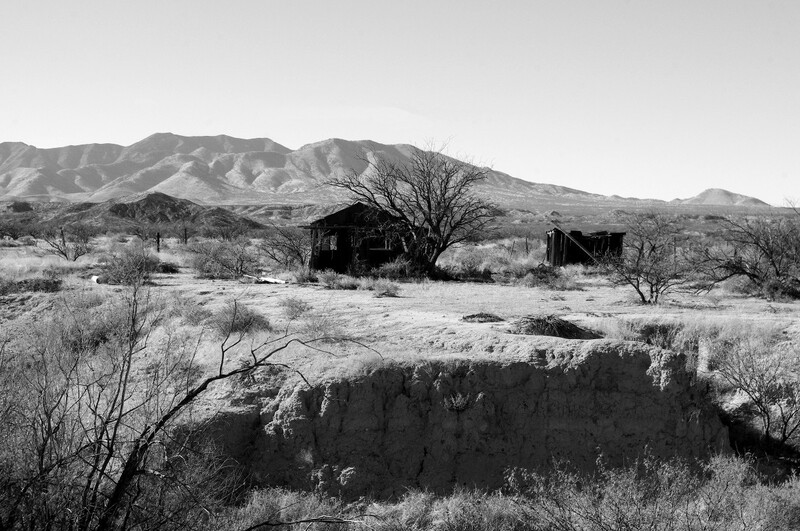 I love photographing Cochise County ruins in black and white. 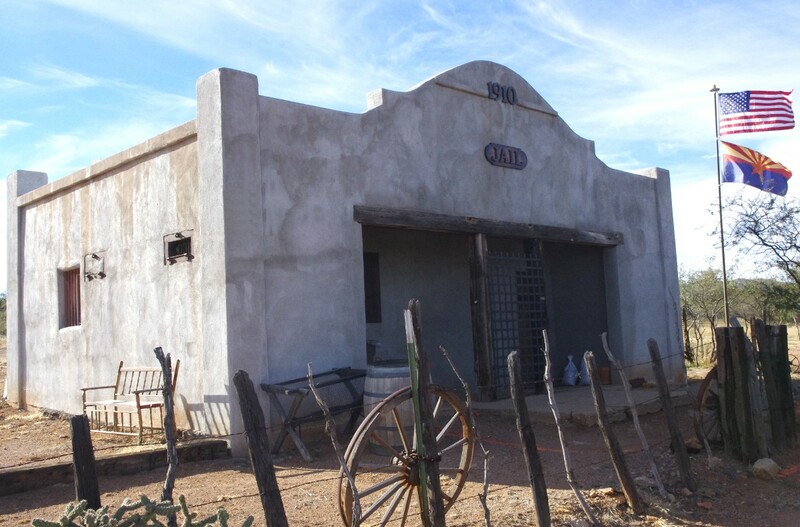 There are lots of ghost towns in Cochise and neighboring Santa Cruz Counties. Old mining towns dot the landscape. Some boomed and died over 100 years ago while some were thriving 50 years ago. You can find the old ruins of military forts such as Fort Bowie and wander through the building remains at your leisure. Hike the trails around Fairbank and you will come across other ghost towns that had their heyday in the 1880 and 90s. Many of these old towns have little left of the buildings. 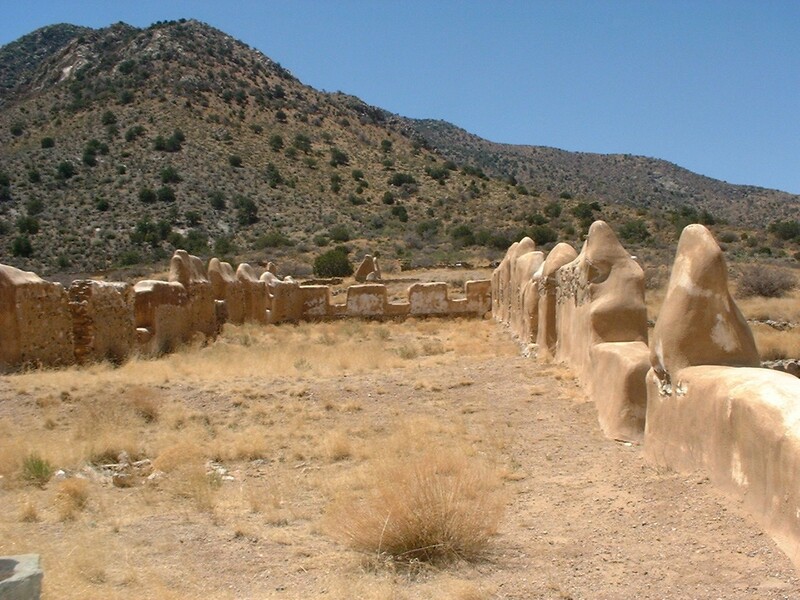 Maybe you will find foundations or the remnants of adobe walls that have been washed away over the years from the monsoon storms that sweep Cochise County during July and August. Another ghost town with many buildings to photograph is Gleeson, which I wrote about some time back. The Gleeson Jail was built in 1910. It is constructed from concrete and is now a museum. 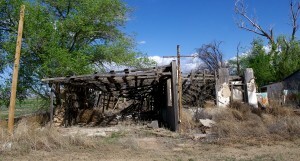 Besides ghost towns there are old home sites to explore. There are abandon houses that you will find in different areas of the county as you travel the picturesque back country. These homes are in various states of decay and some are nothing more than foundations or ruins. Travel throughout the county and you will find buildings overgrown with vegetation and in some cases in danger of full collapse. It is always interesting to stop and photograph some of these places. Some can be seen only as you are passing by on a road to somewhere else. In some cases, such as Dos Cabezas, you can’t stop because there isn’t any place to pull off to the side of the road. Then there are others can be seen as you approach so you can plan to stop. What are their stories? This Black and White photo of an old houses that was abandon to the elements can be found all over Cochise County. These were usually old abandon family homes that were located in the farming areas. One such area is Kansas Settlement south of Willcox. The area got its name from of the family immigrants that came from Kansas and settled in the area in the early 1900s. The farming was good and the acreage progressively grew. After World War II, the farming grew even faster until 175000 acres were being cultivated. In the late 1970s and early 80s when the price of energy skyrocketed. This caused great hardships and the acreage dropped to less than 40,000. Many of the farms were abandoned or foreclosed upon by banks. Now the area is growing again with grape vineyards. Most of Arizona’s wine grapes are grown in the Sulphur Springs Valley. Some buildings are very close to total collapse as can be seen in the state of this building. One building that I see when we go out on the Willcox Bench to do wine tasting is the Arzberger homestead. This building always intrigued me. It gives you a feeling of forlorn desolation. The old dead tree still is standing next to the home giving faint hope of shade in the summer sun. We stopped recently and took pictures inside the building and from other angle. The Arzburger’s were one of 17 families that that settled the area from Kansas. The old homestead was still being farmed by the Arzbergers in 2005. Being centrally located is a great bonus when staying here at Down By The River B and B. With all the things to do in the area, one fun thing is to photograph old Cochise County ruins. This old Arzberger homestead on Kansas Settlement Rd and Arzberger Rd is one of the most interesting photo subjects as we drive along the back roads. The tree that once gave shade has died and stands like a sentinel waiting for the owners to return.